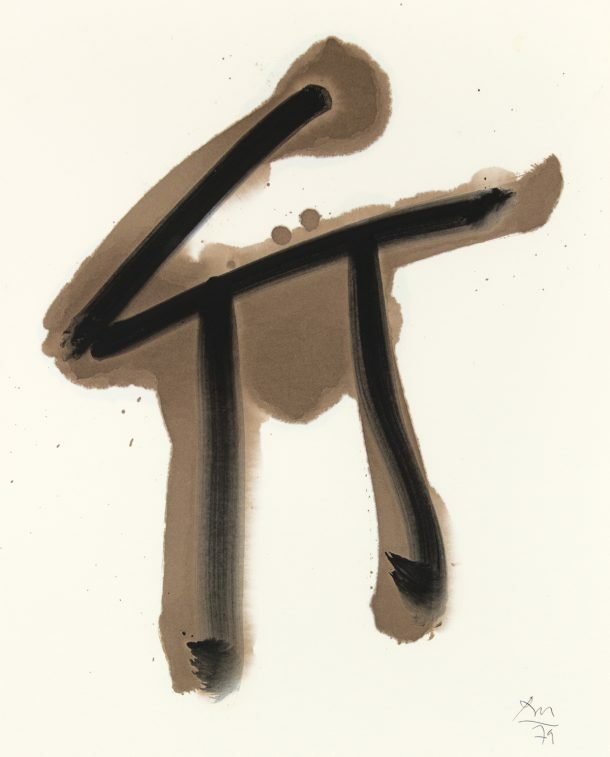 "The Quiet + The Wild," on display at Black Mountain College Museum & Arts Center in Asheville, NC, features works by Robert Motherwell, who taught at the college in 1945 and 1951. For the exhibition, Jerald Melberg and Alice Sebrell curated a selection of pieces ranging from delectable, impetuous drawings to prints and paintings, all made between 1965 and 1990. Of particular visual impact is a selection of sketches the artist made while reflecting upon James Joyce's Ulysses. At only 3 x 5 inches, the ink wash and china marker drawings command the room. Motherwell was inspired by Joyces's writing from a young age and from the mid to late 1980's, the artist made a series of etchings illustrating "Ulysses," forty of which are bound in a folio with the text. Motherwell's deep understanding of automatic drawing and his empathy for Joyce's stream-of-consciousness writing informed works in "The Quiet + The Wild" that exemplify modern expression and thought.